K.Karthik (STD II) hails from Takkasila, Mahaboobnagar District. 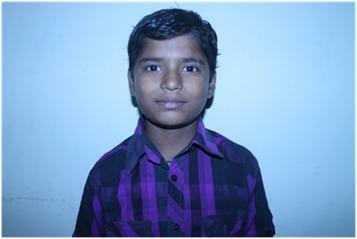 He attends Sri Sai Model High School, Cherlapally. His father left their mother and married another woman. When it became difficult for their mother to look after the children's studies she contacted Sphoorti Foundation. His mother now works as a cook at Sphoorti Foundation. He has a sister that also lives there. Both children are very good in studies and sports.